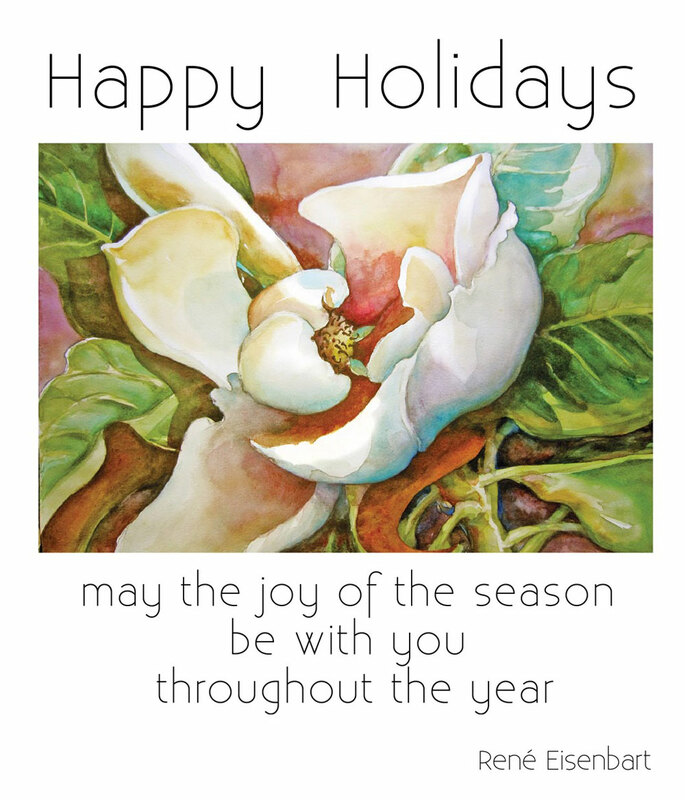 This is a new version of a painting I’ve been working on, blossoms from the magnolia tree off my deck. I started painting this at the Wild Arts Festival. It follows the colorful white flower theme, based on my belief that if you get the values right, you can paint in any color you like! Perhaps this proves the point. Marbling is not so predictable. Full disclosure: it’s time consuming, messy and results vary. Preparing the paint is a challenge. But once you’ve mastered paint mixing, basic concepts are easy to learn. Some degree of control is gained through experience. Possibilities are endless… and how exciting to see the transformation! I originally learned to marble from Galen Berry, who is a master. If you have the opportunity to take a workshop with him, do it! I won’t go into detail on the process, because you can find it all on his site. Galen also sells the supplies and a very good instruction booklet. The surface to be marbled is first treated with an alum water solution and dried. The paint sticks where the alum was. The process uses acrylic paint — we used M.Graham, which worked very well — whereas some quality paints don’t work at all. The Terre Rosa was fabulous! The paint is thinned with water to the consistency of milk or light cream and spritzed over a tray of carrageenan water, adding more and more color until the surface is covered. Then you can create patterns by cutting and combing the surface in zigzags or swirls. Or add gall which pushes the paint away, creating lacy “holes” in the pattern. Originally my interest was in cloth. I found it ideal to cover journals — a way to personalize them. We purchased cotton cloth from the Dharma Trading Company. 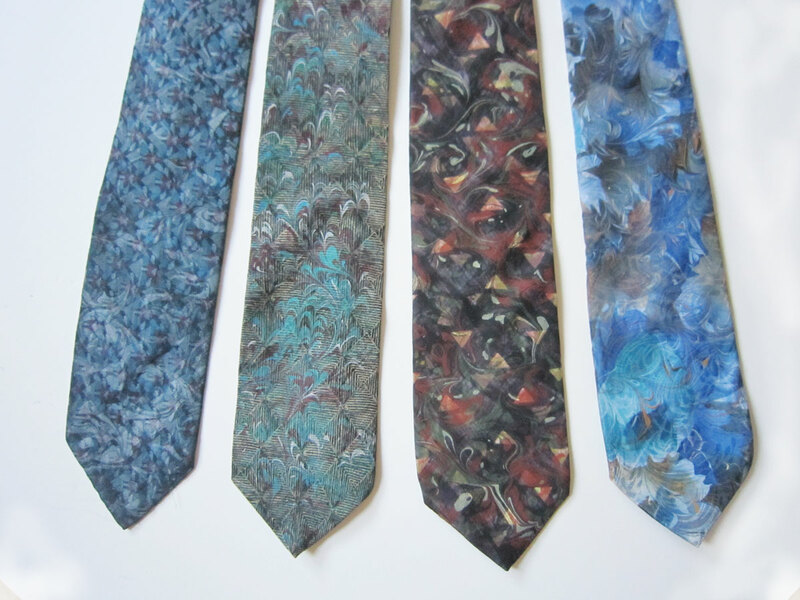 My next discovery was marbling over silk ties (with original patterns and colors less than fabulous). Adding a marbled swirl pattern smoothed and integrated the stiff geometrical shapes while introducing a few new colors. Definitely one-of-a kind wearable art! second side from becoming wet while I marbled the first side. What I am most thrilled with is how marbling transforms a painting that isn’t working. 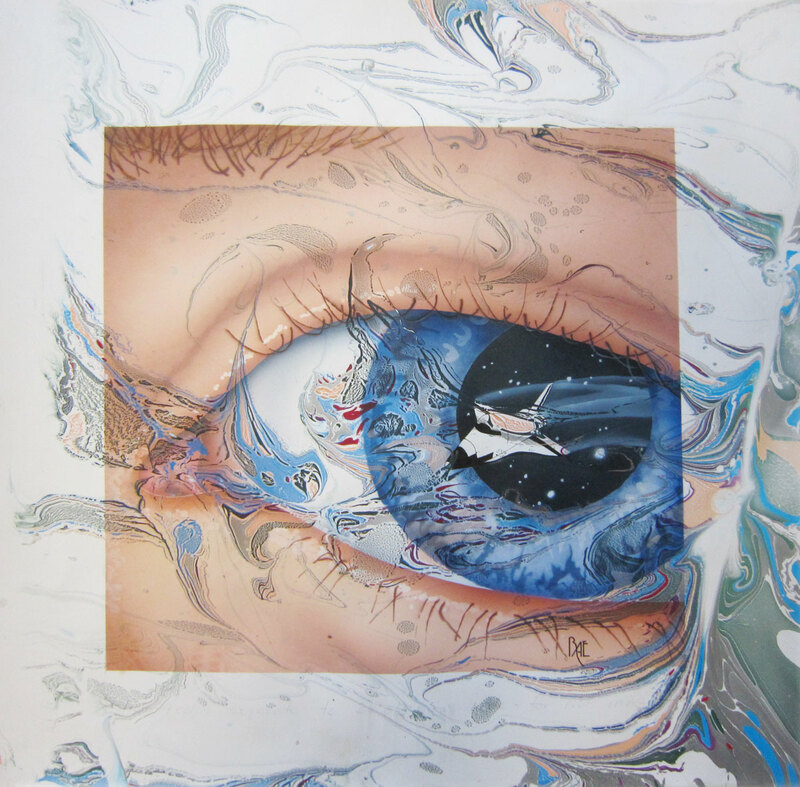 This was a throwback to my airbrush days, but the painting had no serious possibilities as art until marbling over it. 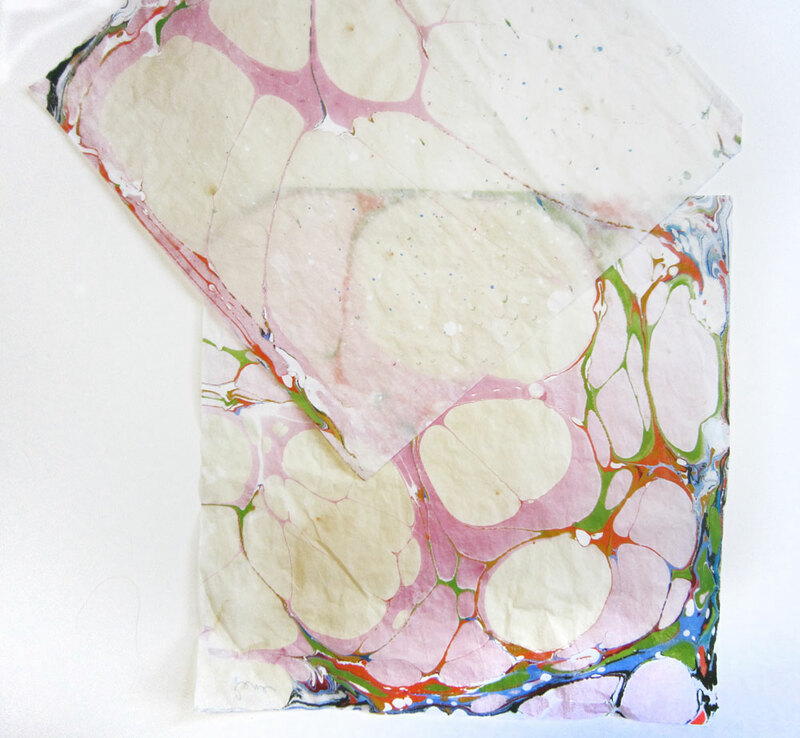 My brain is churning over other ideas combining marbling with watercolor. Thin rice paper marbles well and is almost transparent for using in collage work.